Deliberate parking crunch in Singapore's city centre? A local journalist asked my opinion on Singapore CBD parking policy. He wanted to know if the Singapore government has been deliberately restricting the amount of parking in the central area, and if so, do I think it is a good idea. I spent some time on my comments, so I have adapted them into a post. Singapore has been reducing its minimum parking requirements over the years, especially for the city centre**. Confusingly, many people here are under the impression that these policies amount to a restriction on parking in the CBD. Huh? These are MINIMUM parking requirements, not maximums! How could parking minimums have anything to do with restricting parking? Actually, developers have good reason to view the parking standards as maximums and not just as minimums. Why? Because only the required parking is exempted from counting as part of their allowed floor area (gross floor area, GFA) under the development controls (zoning). This means that if they build any more parking over and above the minimum requirements, they will have to reduce something else. And those ‘something elses’ (like shops, offices, hotel rooms, etc) earn much more revenue than parking (at least for now). So developers in Singapore apparently don't usually build any more than the minimum amount of parking. So did the LTA and the Ministry of Transport set the new parking standards low in order to control traffic? Besides ERP, parking policy is another lever that will restrain car usage. We will continue with the current approach where Government determines the minimum parking provision while car park operators determine the parking charges based on market demand. As we apply the prevailing parking provision standards (which have been progressively lowered since 1990) to new developments, and allow conversion of some excess parking spaces in old buildings, parking supply in the city will gradually decline over time and parking charges will rise. They seem to be having it a little bit both ways. 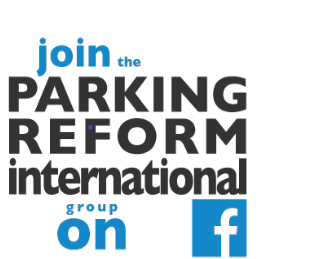 The official approach to setting parking standards is to aim to be realistic and to approximately match the actual demand. It seems that they must be setting the minimum parking requirements to ensure roughly ‘enough’ parking at roughly a reasonable or realistic price. But what prices are realistic? The quote above implies that the prices assumed are higher than the status quo. Is Singapore CBD parking facing a crunch? Are prices too high? Parking supply in the city centre of Singapore is probably roughly static but commercial floor space is increasing quite rapidly. In addition, the southeastward expansion of the CBD into Marina South is all happening under the newer lower parking standards, so that whole area is getting a lower ratio of parking to office space right from the start. So, with demand rising and supply static or rising much more slowly, prices are rising. Hence the perception of a 'crunch'. But is it a problem or out of the ordinary for the CBD of a major city? I don't think so. One way to think about the ‘right price’ of parking is to ask if the returns from parking fees are high enough to match the alternative uses of that same space (this means thinking in terms of opportunity cost and thinking of parking as a form of real-estate). From that perspective, Singapore’s CBD parking still looks cheap. Remember the real-estate developers generally don't build extra parking because it earns less revenue than other uses of space. * The closure of the Market Street Carpark actually has little to do with the LTA's parking requirement policies. It is a privately owned garage and its owner has decided to redevelop the site as an office building. ** Are you surprised that Singapore has minimum parking requirements at all within its very transit-oriented Central Business District? After all, many large Western cities have a zero minimum parking requirement in their CBDs. Singapore's CBD parking requirements are quite low (or at least they have been since the LTA lowered them in around 2003). Office buildings in the CBD are now required to have only one parking space per 450 square metre of floor space. But this is actually not extraordinarily low for a CBD location (after all it is above zero and it is still about double the requirements in Seoul’s central areas).